How would you feel if the last seven years of your tireless work was suddenly gone? Gone as in wiped out. Disappeared. Vanished. Yes, it caused me chest pains and I learned from this Cyber Crash. My website hosting company Web.Com was having server problems. I was creating something for my site guests when suddenly my site literally disappeared in front of my eyes. My published books, all photos, recorded media interviews, recorded seminars, e-books, all of the press and media exposure, virtual tear sheets of internationally published articles and book excerpts, hundreds of clients letters – basically my life’s work was just GONE. Sitting there is a numb state of shock with mild chest pains starting to become more and more noticeable I had a valuable lesson ingrained within me that saved me from a lot of agony. That is that there is always a higher reason for why something happens, and at first we certainly may not view the circumstance from that perspective, but moving into trust feels a lot better than moving into the emergency room with a heart attack. It wasn’t just ONE website, it was THREE! All email was also gone forever. So I sat there realizing only one thing – I had to put it all together again, and I MUST have another website with all of the content from my website with a different company, so if one gets wiped out, the other one is there as a secure back up – especially for vital files such as books, interviews, audio seminars, logos and the like. For a brief moment I thought about how the people felt when their companies were wiped out in the 1929 stock market crash. I’m sure you can surmise it was not a pleasant feeling. But the higher lesson came to the forefront, and that is that anything can be re-created, even better than before. When your work comes from the inside out, you can create anew. Then the good news came. The hosting company was able to recover all data. A deep breath of massive relief and gratitude filled my being, and at that same time, I was on line checking out other hosting companies to have another back up website. 1. Always have several email addresses on different servers such as Comcast and Google to email your most important digital files to those email addresses, so you will always have access to your data. 2. Have another website with a different company that can take over in case your hosting company has a major cyber crash. 3. If you write articles, place them with a large article database such as EzineArticles.com so your work not only spreads, it is in a safe place in cyber space. 4. Make sure you have back-ups of crucial email addresses and messages. It would be impossible for me to find my Russian book publisher’s email address when their website name that I cannot pronounce or spell is written in Russian. 5. Remember that when much suddenly flows out of your life, trust that there is actually a higher reason, and shift your perspective from panic to trust. If anything, this may alleviate a great deal of anxiety. 6. You can always re-create the most important aspects of what you need, and when you do, send it to a back up cyber address for safe virtual storing. There will be glitches and crashes in life that are both unwelcome and unexpected. The key is to do a lot of advance damage control so if you’re hit with a cyber crash you can feel much better knowing you have all files safely backed up on different servers throughout cyber space. © Copyright 2008, 2010 Barbara Rose, PhD All Rights Reserved. 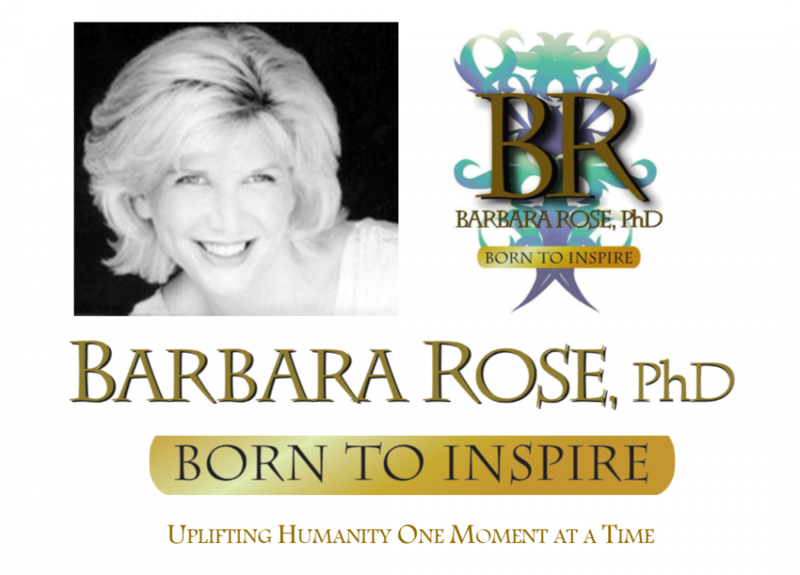 This entry was posted in Browse Society and Transformation by Barbara Rose, PhD |Born To Inspire | Bestselling Author| Life Transformation Expert. Bookmark the permalink.